Fundraiser by MyNew Orleans Photo Project : Send Hope to the UN Women Exhibit! Send Hope to the UN Women Exhibit! 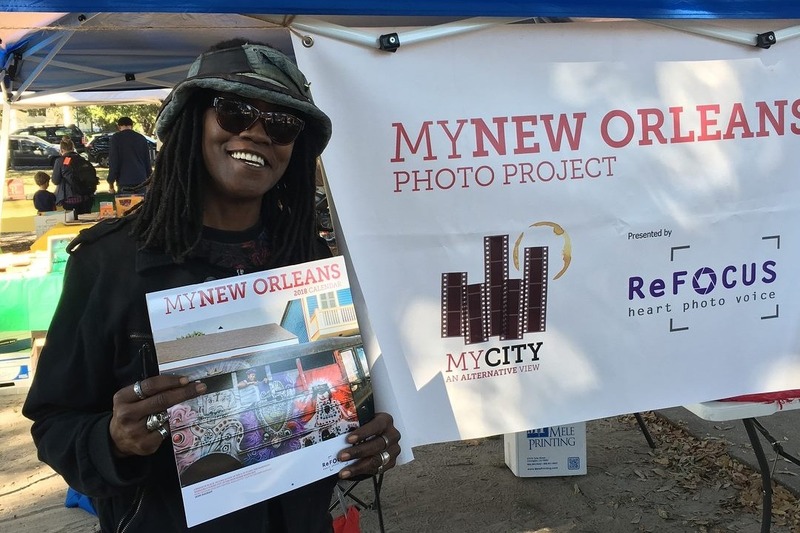 As part of the global network of MyCity Photo Projects, which provide photovoice opportunities to people experiencing homelessness, we received amazing new at the MyNew Orleans Photo Project! Four photos from our 2017 and 2018 calendars that were taken by women have been accepted to be part of the upcoming "Women Without Walls" photography exhibit in Geneva - and 2018 Cover photographer Hope Magraff's photo has been chosen for the exhibit poster and program! 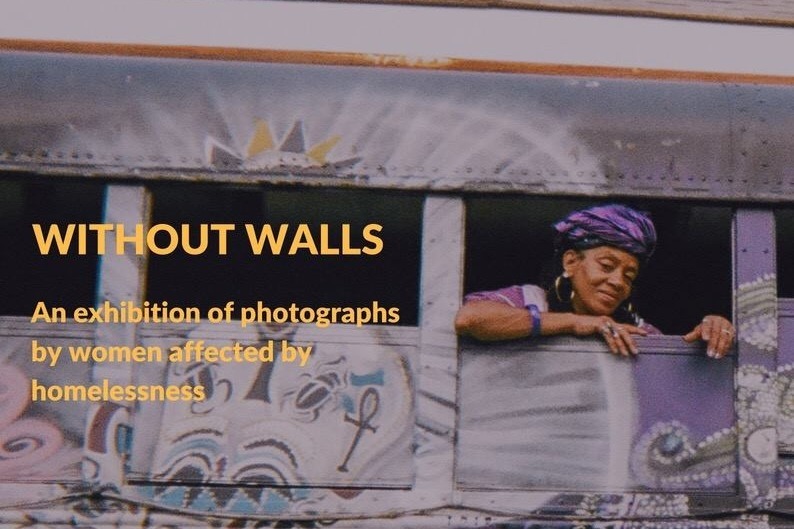 "This exhibition showcases photographs taken by women affected by homelessness from all over the world. The powerful images show what these women love about their cities, their friends and their families, whilst also highlighting their plight when they are homeless. "This exhibition also illustrates the specific needs of women experiencing homelessness. Hence, the exhibition clearly links Sustainable Development Goal 11: Make cities and human settlements inclusive, safe, resilient and sustainable and Goal 5: Achieve gender equality and empower all women and girls. "The opening reception will take place at 12:30 PM at the Passerelle, Building E, Palais des Nations on 1 October 2018 to celebrate World Habitat Day. " We are raising funds to get Hope to Geneva, accompanied by Heather Milton, coordinator of the MyNew Orleans Photo Project. The funds raised will go to Hope's airfare, accomodations, and travel expenses, while Heather will cover half of her own expenses. We feel this opportunity is so important for Hope, but also for the MyNew Orleans Photo Project to be part of an important event that will help educate people and lawmakers from all over the globe about the issues associated with homelessness, and their impact on people all over the world. By representing New Orleans, which is implementing some great programs for addressing homelessness, Hope will help bring much needed attention to this issue. Thanks to all who donated to our GoFundMe campaign to send Hope Magraff to be part of the UN Women exhibit in Geneva! Here's a little recap and thanks! Thank you to all who donated to send Hope to the UN Women photo exhibit in Geneva! Hope and Heather spent 2.5 days at events and MyCity meetings, and another 2.5 days touring the city of Geneva, museums, and around beautiful Lake Geneva. We'll be sending you a video from Hope in the next few days! Thank you again for sending this lil slice of New Orleans to see her photo hung at the UN and share the warmth of the Big Easy with people from around the world! Thanks to everyone who has donated so far - we are over halfway to our goal! Because of this, airfare tickets have been purchased and lodging reservations made! Hope is so excited to go apply for her first passport next week - on her birthday! Please continue sharing on your networks to help spread the word! This photo is another one from Hope's roll last year - the woman in the lower right corner of this mural by Henry Lipkis is Hope herself! 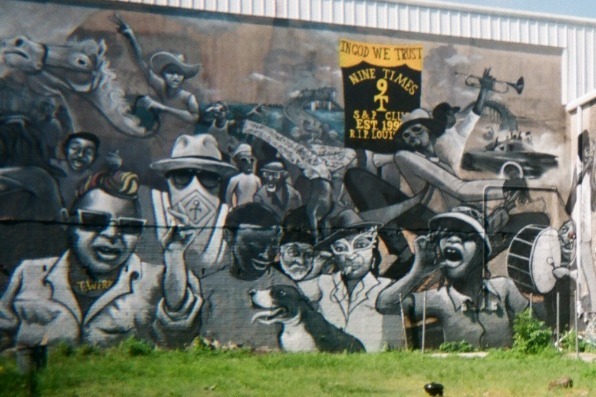 You can find this mural on St Claude Avenue, showing many sides of New Orleans culture and character! Thanks to our donors so far! We are on our way but we need a few more donations to get the attention of GoFundMe so they will help to promote our fundraiser! Just a few bucks will help keep us moving! Check out the video for MyNew Orleans Photo Project and learn what we are about.